The royal guests of Haji Khalik’s houseboat were got a chance to look at some of the very valuable (in terms of historical events) documents which were kept safe by Haji. They admire the way those valuable letters from 1914 onwards were taken care of. Haji has a good habit of keeping the letters filed properly. See, this is the way the viewers got a chance to visit the history through their medium. It was the time about the World Wars discussed. Letters from a British Colonel were read by the royal couple and then they were curious about what happened to that British Army officer then after. The only man who can answer the curiosity was no one else but Haji himself. Haji fortunately visits the guests at that very moment and was there to answer all the questions they had. We got to know that the British officer was around 20 years older than Haji himself and was having a friendly relationship with Haji’s father. The officer was survived in the war and then later came to visit Kashmir every other season then after. He was so attracted or should we say touched by the beauty of Kashmir that he spent rest of his life there. He was in love with river Jehlum and mainly the Lake. He never attempted to go back to England. During the last period of his life, his wife went back to their native country though, but the officer never left Kashmir. In fact when he met with his death, he was at the Lake. So it was kind of an eternal love story. 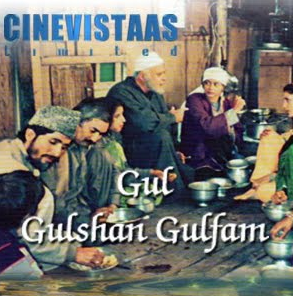 The incidents lets the viewer know that how popular and loved Kashmir as a land, as a tourist spot and as a fantastic spot to live on the mother Earth. People at the certain age want just the mental peace and happiness and that is what this gorgeous place is able to give. That is why it was called as the Heaven on the Earth. The weaving of the incidents in the TV serial is absolutely nice. The way Parikshit Sahni shows the emotion and body language of the old man is really superb. However not all the co-stars were able to deliver same performance and hence sometime we really feel they are acting, but anyway, the TV serial was a magnum opus and there are no two thoughts on the same. The second son and his wife were having a small domestic fight earlier and his wife was trying to patch up. It was well, not a fight, it was small gem of the domestic life we can say. His wife Zuni was keeping an eye and noticing each move of her husband. Actually the way, the youngest brother Kadir have had a mysterious relationship with a foreign tourist woman, make her alert and she doesn’t want to take a chance. Her husband was also ambitious like the other of his generation. We see that the current generation was interested in earning more money and he was, as we know was in search of getting better opportunity. His first choice was to have some contract work in the gardens of Apple. However he lost some money the previous year in the same business so he was keen to do that but to not to disclose it to his father at that point of time. What happens next is better to watch on screen. We must say that by making those episodes available online on YouTube, the creators have done an admirable work to let the current generation visit a very good TV show from old days. It is recommended watch. The tight screenplay, good background music, some splendid act (and some poor too) and realistic approach makes is a better watch. The Episode videos are no more available for free watching on YouTube now.